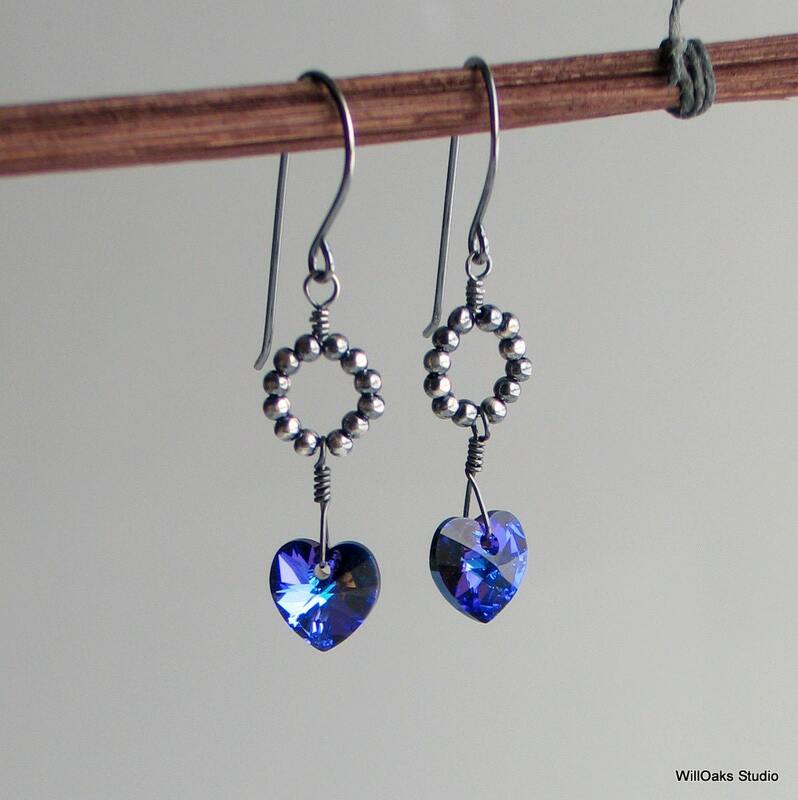 Sweet ultraviolet heart crystal earrings sparkle as they dangle & move below beaded hoops of oxidized sterling. These hoops link the hearts to hand forged sterling silver ear wires. 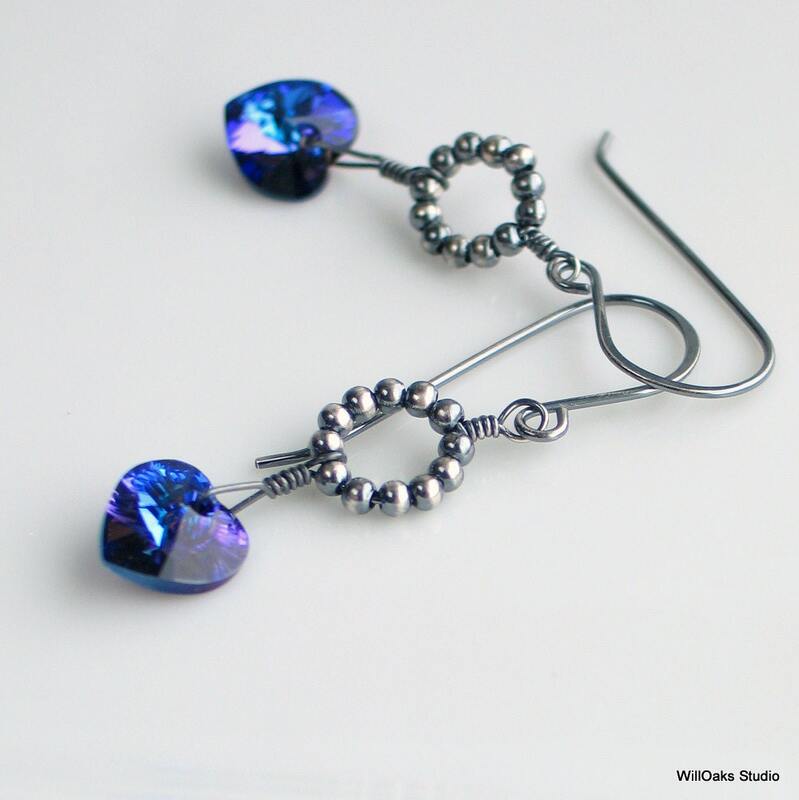 The Swarovski Crystals are sparkly and swingy and sort of shift from purple to blue, depending on how the light hits. The crisp edges of the crystal are such a nice contrast to the dark, slightly rustic feeling of the oxidized metal work. 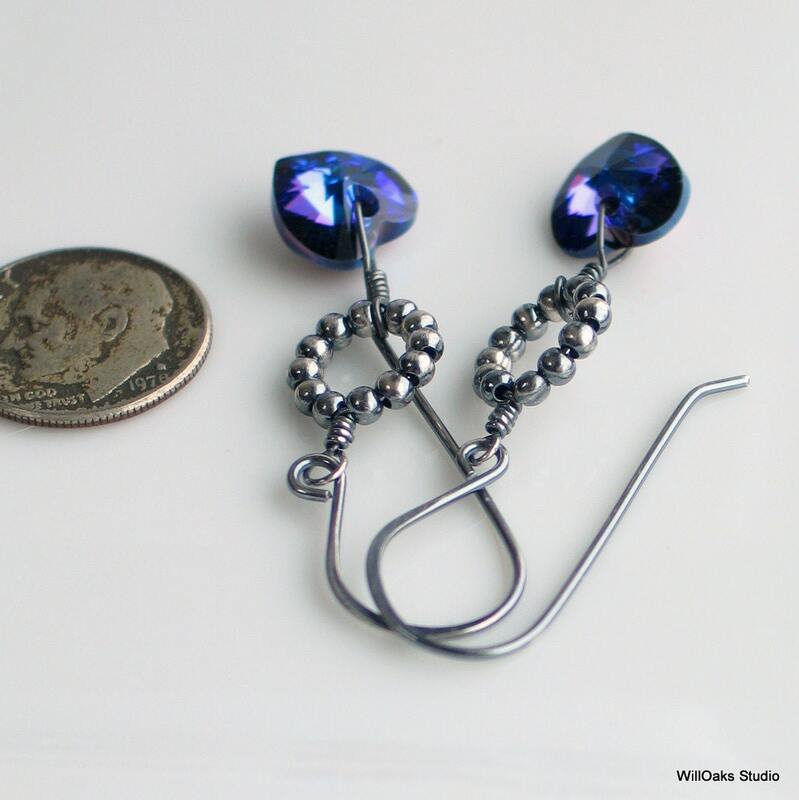 The earrings measure 1 7/8" from the top of the ear wire to the bottom of the heart. This purple blue color is fresh and pretty, a nice change from the red heart. 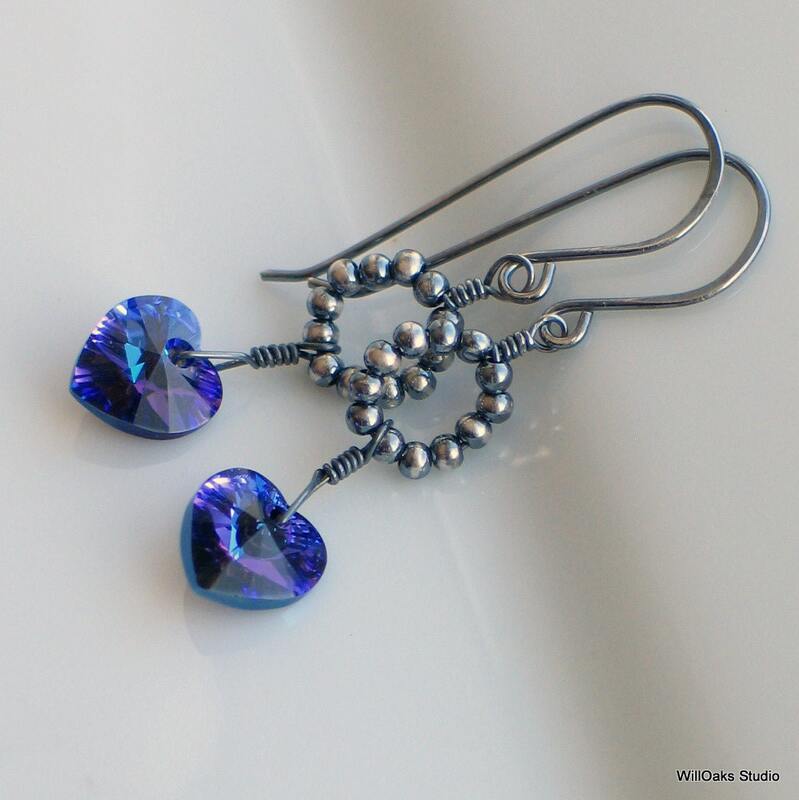 Give or wear heart earrings to show the world a little love. My earrings are packed into my signature boxes for giving or keeping. 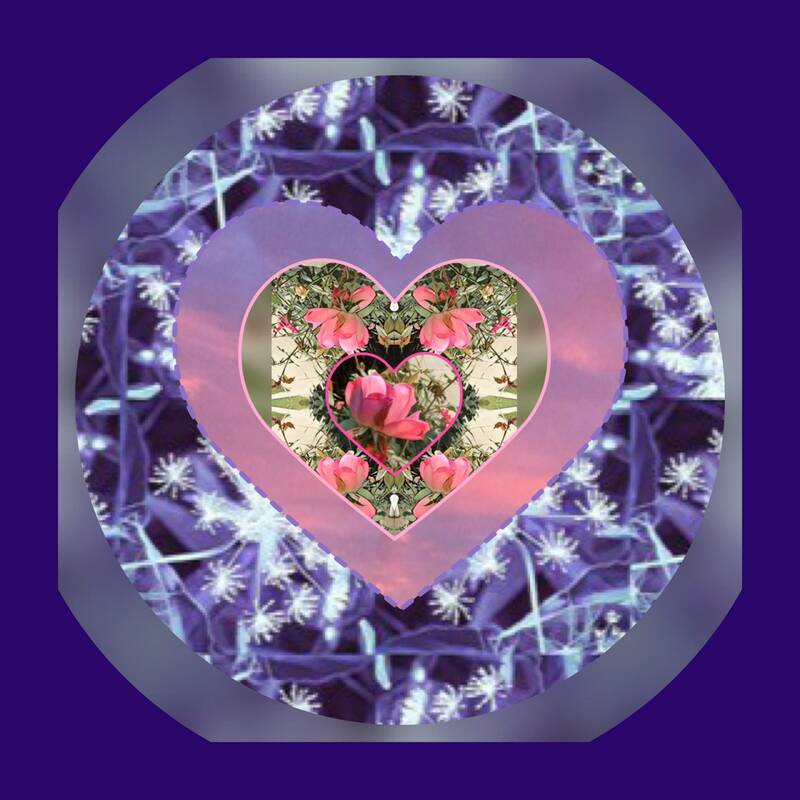 Interested in a different heart color? Please drop a note! 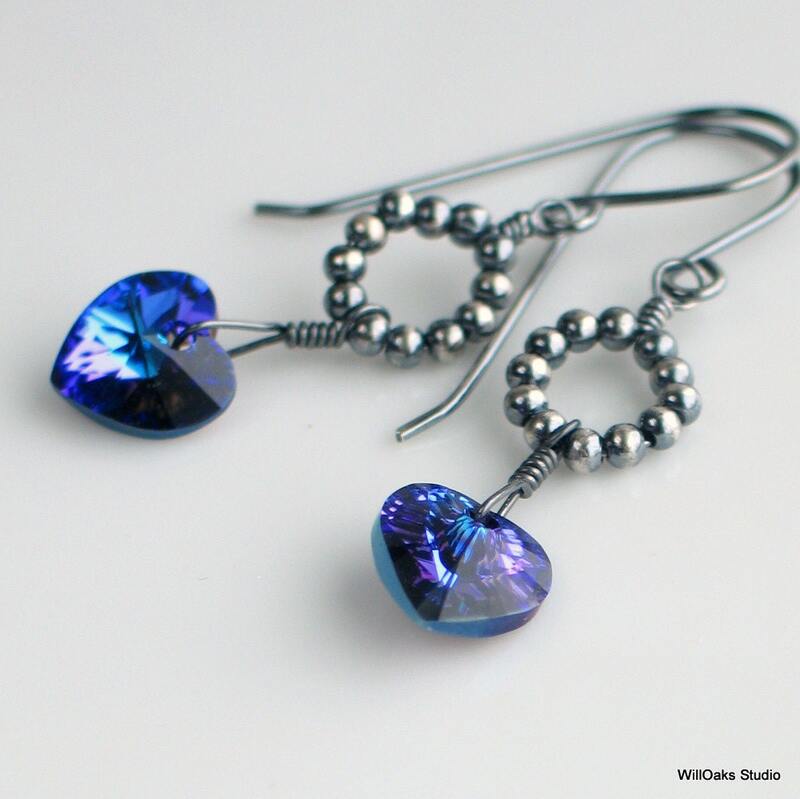 Earrings are made to order & I have a nice selection of Swarovski elements. Use the “contact” button to get in touch with your request. Find more of my original pieces of art to wear here https://www.etsy.com/shop/WillOaksStudio. Thanks for dropping by!